Here in the Desert Southwest of the United States, we have a pretty common pest problem not found in many other areas of the country, and that is the problem of scorpions. Scorpions do not bite people, they sting. And in fact, about 11,000 people a year in Arizona alone are stung by them. Scorpions are found here both in Las Vegas and in all of Clark County Nevada as well. The one found most commonly in this area is known as the Bark Scorpion. Now as far as I'm concerned, I don't really care what they are called. If I see one of these, I am screaming my head off. 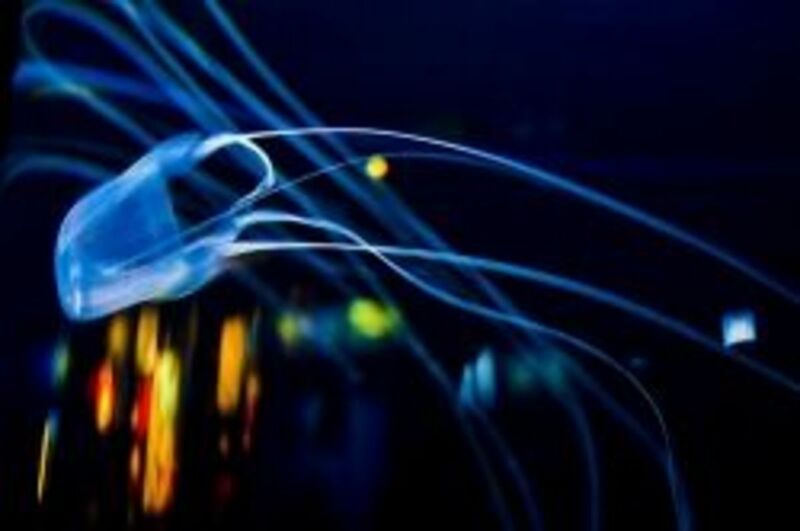 These have to be some of the creepiest looking creatures on the face of the earth (Ok, so that is an opinion and not a fact). As a matter of fact, the more research I did on these lovely little critters, I found myself developing goosebumps up and down my arms and feeling kind of queasy. I guess it's a good thing I haven't seen one of these "live" yet. According to what I've read, scorpions are actually beneficial because they eat bugs. Regardless, this is not going to convince me that these are ever a GOOD thing to have in ones home. Scorpions are most active at night, and they are most active and seen the most during the summer months. And the reason they will sting is because they feel threatened. 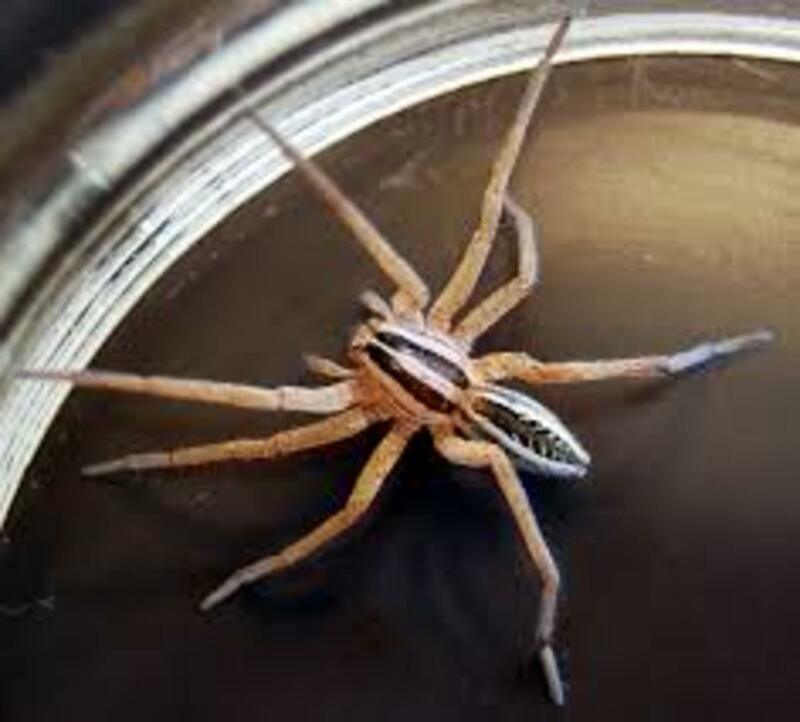 It is advised to always wear shoes outside here in the desert, and if you ever feel something crawling on your skin, scream your freakin' head off, I mean, scream like a rabid schoolgirl.... ok so that's not really what you do. That was my comment! What you really do is gently brush it off of your skin, NEVER swat them, because that will virtually guarantee a painful scorpion sting. Another good piece of advice if you need to do work outdoors in a garden or anyplace outdoors is to always wear gloves, especially here in scorpion-land. Scorpions like to hang out where it is shady. They love to hide underneath wood piles, under loose boards, or here where there are palm trees, they will hang out underneath the bark of trees, and especially underneath the palm fronds that are hanging down from palm trees. This is one reason that having your palm trees trimmed up and pruned every spring is a very smart idea. It not only makes the tree look much better, it also lessens your chance of harboring desert scorpions. When you are indoors, ALWAYS look inside of shoes before putting them on... scorpions like to hide inside shoes! Scorpions love to climb... so indoors they will often be seen crawling up walls and on the ceiling. In fact, I read a story recently of someone that was stung in bed after a scorpion fell off of their ceiling into the bed with them and stung them. I told you doing research on this gave me goosebumps and the "willies!" That's it. I am sleeping with ONE EYE OPEN from now on! Scorpions also like wet or moist places, so always check around openings in bathtubs and sinks for them if you are looking for them inside a home. They may also hide in crawl spaces or in attics. If you are camping outdoors (and after reading this, you may never want to camp outdoors in the desert again! ), it is advised to shake out sleeping bags or clothing before you use them. Oh, and have sweet dreams sleeping outdoors. I would be dreaming of these critters crawling all over me, stinging along the way. Which is why I opt for indoor lodging whenever possible! Maybe that's just me. For the most part, scorpions will be found outdoors. The times when they venture indoors usually happen when their outdoor habitat is disturbed in some way. When there is construction going on in a new neighborhood for example, or when trees are being removed from an area, they might head indoors to find a new shelter. In a normal healthy adult, scorpion stings hurt, but are not life threatening. 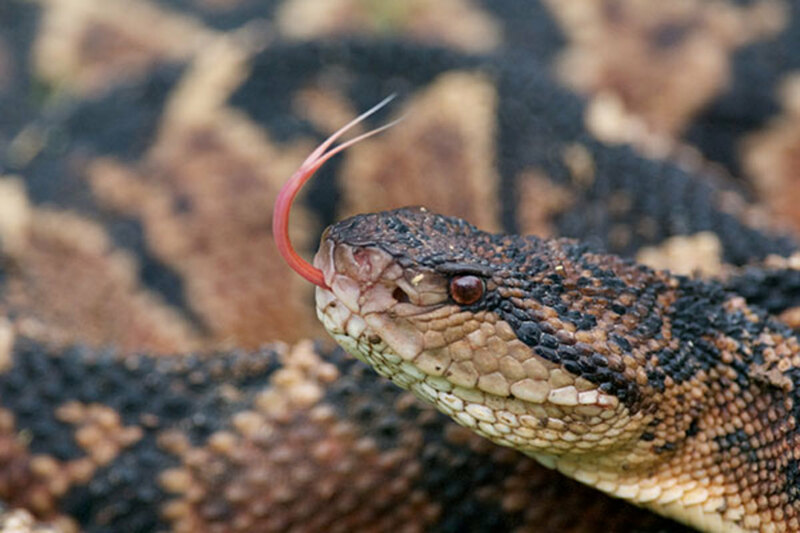 First there will be pain surrounding the spot where the sting occurred, followed sometimes by numbness on the limb or near the place of the sting. There are more dangerous symptoms to watch for, though. Sudden trouble walking or feeling uncoordinated when trying to do things, or strange muscle movements or twitching. Scorpion stings, especially in young children and other vulnerable people can quickly become life threatening, so at the first sign of any of these symptoms, it is advised to seek medical attention either from an emergency medical facility or from your primary physician. When a scorpion sting occurs in a normal and otherwise healthy adult, often the only symptoms will be pain and possibly some numbness. Watch for other symptoms, but if they don't appear, chances are the pain will go away on its own over time. To alleviate the pain felt immediately associated with a sting, putting a cold compress on the area will usually offer some relief. First clean the area with soap and water, then apply a cold compress. Taking a pain medication like Tylenol or ibuprofen can also help with pain. And an important thing to remember is that when a scorpion stings a person, the SIZE of the scorpion matters! The smaller the size of a scorpion the more venomous and dangerous it is. So, I guess if you are going to be stung at all, it's better if you're stung by a large scorpion. BUT, the BEST thing is to try to avoid ever being stung to begin with. Remove any place that a scorpion would love to hide. Places like wood piles, rock piles, loose boards, piles of things like tires or any other type of debris. Scorpions like to hide underneath things, so remove that temptation for them. And ALWAYS wear HEAVY gloves when moving these things in case you already have scorpions there. Be sure window seals and all door seals are tight. If you can see underneath your door, scorpions can most likely get IN. Check for any other openings in and around your home. Things like holes near the base or foundation of the home, or even vent holes can be a tempting place for a scorpion to get in. Regularly have your palm trees trimmed if you have them in your yard. It is advised to keep them trimmed to at least ten to fifteen feet from the ground. Keep the old falling and brown palm fronds trimmed off and keep them pruned. And unless you know exactly what you are doing, it is always advisable to have a professional palm tree trimming service do the work for you. Some palm trees are pretty tall and can mean a nasty fall if you don't know what you are doing! Any time you bring something into your home here in the desert, whether you are bringing it inside from the outdoors or even from your garage, carefully check it for scorpions before bringing it into the house! It's better to avoid having them come into your home in the first place than to have to try to rid your home of them once they are there. If scorpions do get into the home, you generally will not ever find any "nests" of them. Scorpions are solitary creatures for the most part and only mate very briefly. It is believed that if you do see one scorpion, though, chances are there are more in your home. You can attempt to spray something like Raid on them, but must be extremely careful doing that. It has to be sprayed directly on them, and it will take time for it to take effect. While you are waiting for it to take effect, that scorpion is going to be p-o'd and if you get anywhere near it, you are likely to suffer a sting. Usually it is best to have a professional exterminator do the job for you. They will have the tools and everything necessary to help if you do find you have a problem with scorpions in your home. Normally in a healthy adult, there won't be an adverse reaction to a scorpion sting other than redness, pain and maybe some swelling. In small children or older people, or others with compromised immune systems, however, a scorpion sting can quickly become deadly. Getting the person to the hospital quickly is the course of action to take when you see that a scorpion sting is showing signs of becoming serious. In the case of young children or infants, a scorpion sting can be deadly. Fortunately, this is rarely ever the case. 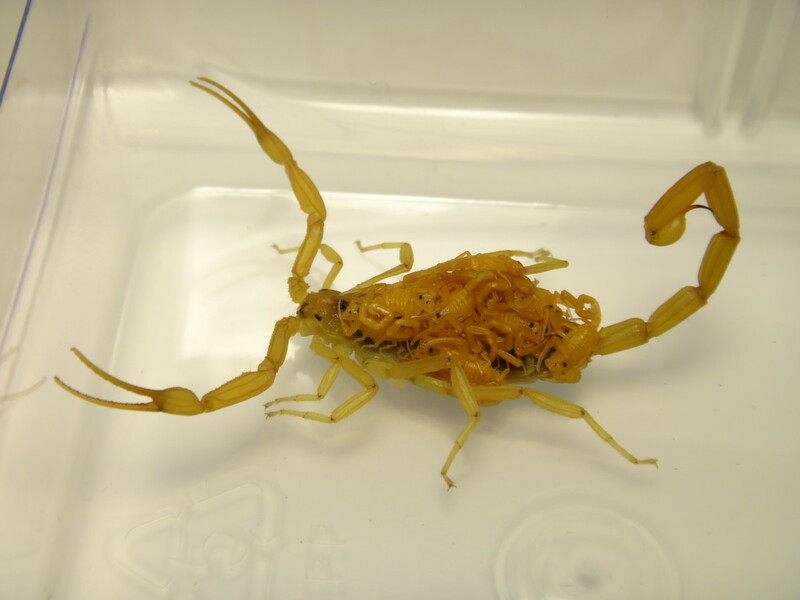 There is now an antidote for scorpion stings known as Anascorp. It is a drug administered by the physician in the form of an injection, and can effectively lessen the symptoms of a scorpion sting, especially in children. In fact, it was found that a small child treated with Anascorp stands a better chance of being released from the hospital shortly after arriving there. In the past, a severe reaction to a scorpion sting could require several days or more in a hospital, and sometimes even a several day stay in an intensive care unit. Anascorp was developed in Mexico and was used there for years before it was introduced to, and approved for use in the United States in 2010. It is made from blood plasma from horses that has been infected with the venom from the scorpion, and then vaccinated for viruses that could affect humans. It has been found to be extremely effective in the scorpion stings of the most common and most venomous scorpions in the United States known as bark scorpions. The bark scorpion is also known as the Arizona bark scorpion since Arizona is where it is found most often. 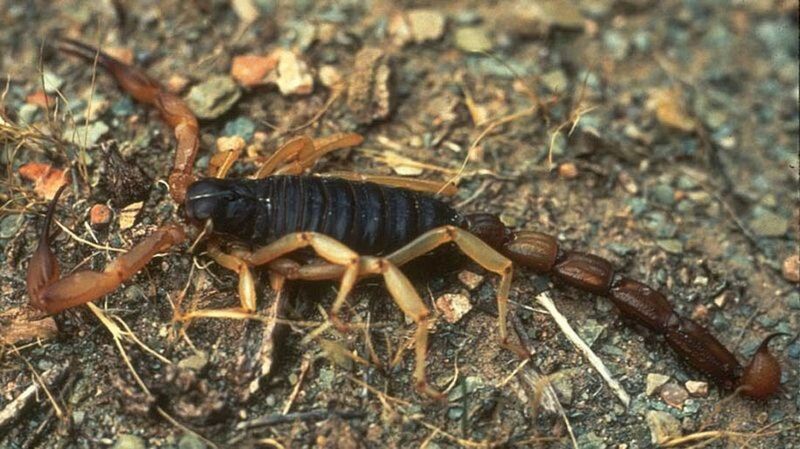 And the bark scorpion is also the most common scorpion found in Clark County, Nevada, the county Las Vegas is located in. One thing I did not realize until I started researching to write this is that scorpions actually GLOW in the dark if a black light is shined on them. In fact, they will look a turquoise color when they glow in the dark! Some good advice for those living in Arizona or in other scorpion-prone areas is to invest in a small "Black-light" otherwise knows as an ultraviolet light. These can usually be found in novelty stores, and sometimes are also found in lighting stores. Take a black light and carefully and methodically walk throughout the home shining the light. Pay attention to walls, ceilings, and places that scorpions like to hide like near sink drains and also around crawl spaces and attics, if you have one. 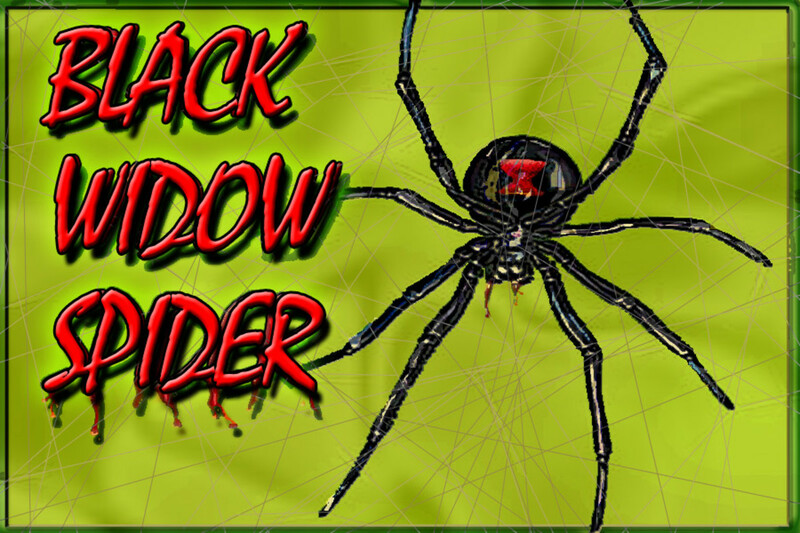 This is an inexpensive and relatively easy way to find out if there are actually scorpions in your home. If you don't want to do your own investigating, contact a pest control company that uses a black light technique for finding scorpions. The pest control company can then advise you about the best way to eliminate your scorpion problem. Mean as Satan. But worse than that, smart. Oh and they have been known to ram boats and sink them which is probably my main cause of dread lol. Really? I didn't know that about Killer whales! That's interesting! Killer whale's, Orcas, they are the only beastie that scares me. Evil animals. Very useful information. A few months ago I was speaking to an old romantic interest of mine and she reminded me of the time I had a scorpion on my neck! We were living in Scottsdale Arizona at the time and the little, yellow devil was just perched right on the side of my throat. The young lady was quite amusing because she went all stiff and big eyed, unable to tell my why she was staring and pointing at me. I strolled into the master bathroom and looked in the mirror. Upon seeing the hitchhiker I 'gently brushed it' onto the floor. Being a native of Australia, the little buggers don't scare me at all. Only thing so far I have been told that works on them, spiders, and fleas is; Orthro Home Max spray. I'm willing to try anything and sure hopes it will get rid of them too. They say every 3 months though you'll see more so write down to be sure and spray again on time or you'll see them again. It's been almost 2 years now and I still have these problems off&on since it stung me so many times. Now they are back in my house so had to spray. Found one crawling in the floor, good thing I had shoes on, another was in the tub when I was about to enjoy a warm shower. I don't care where you live or how old you are, these things will hurt you in some way and it doesn't seem to go away. I live near woods in Bald Knob Arkansas and was attacked by a bark scorpion in my bed 4 times before i was able to get out of bed. I already had Lyme this made my life even more complicated. I lost feeling in limbs and had severe nerve problems throughout my body. So heads up they are not just in the desert folks! WOW Laura, that's interesting!! You'd think something like this that could help to save someone WOULD be covered! Thanks for the great information!! KathyH, I just read an Internet article by The Arizona Republic in Chandler, Arizona. The title, Ouch! 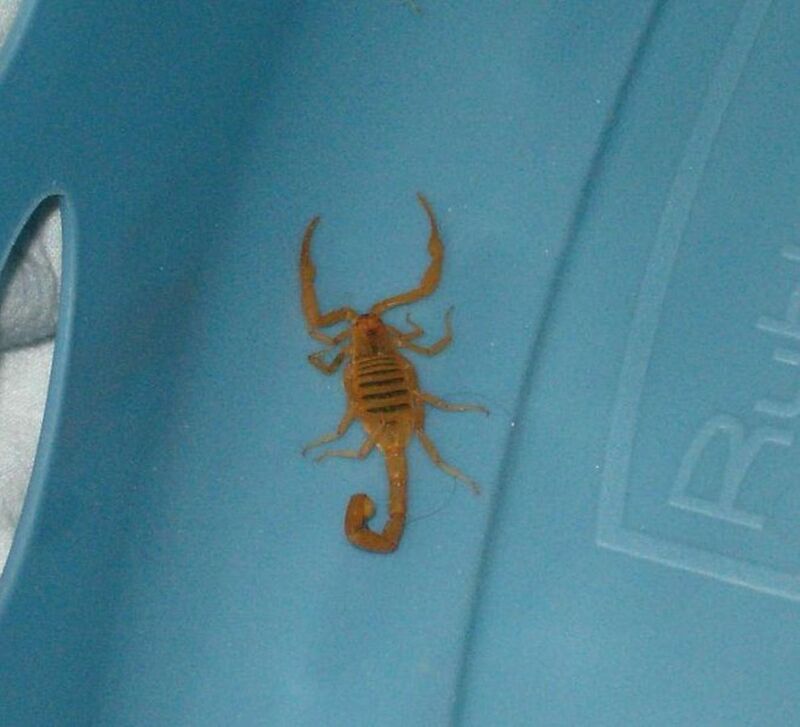 Hospital to review woman's $83,046 scorpion sting bill by Ken Alltucker. A quote in the article, "Chandler Regional Medical Center said several insurance companies don't cover the cost of Anascorp. I think insurance companies and the wall street crooks have something in common. Now THAT is scary, PADDYBOY! I didn't even think of the possibility of them hitchhiking!! Thanks so much for reading and for the thoughtful information! :) Much appreciated! Very interesting hub. Usually I would say that this info would not apply to us here in Michigan. But, my brother lives in Indiana, and they found one where he works. They figure it came in on a shipping crate from out west. We get spiders from China coming in on our crates. So anything is possible! Good evenin' Kathy. Read your scorpion story the other night and really liked it. Can you imagine those people on Fear Factor getting pails of the critters dumped on them while in a tub- shiver me timbers, right. Saw in a Nat Geo mag where that little one under the bark is very bad news like you wrote. Take care- black light for sure. Kathy, you have me thinking now. I live in an area that has these creatures and I am going to keep this in mind. Going to get a blacklight also. Voted this one way up! Thanks Lauramaryscott! So glad you learned something! I found this interesting, but I got the "willies" writing it! :) Thanks so much for reading and commenting! Much appreciated! Hi Kathy great hub, we do not have scorpions here in my part of the world but your information is very helpful and useful to others who have these scorpion where they live . Well done ! KathyH, thanks for sharing this info with us. While I was growing up in Wendell, Idaho, they were constructing the Intermountain Gas line between Gooding and Wendell and one of the workers got stung by a scorpion. He almost died. I appreciate learning about the black light and where they like to hide. Another good hub. 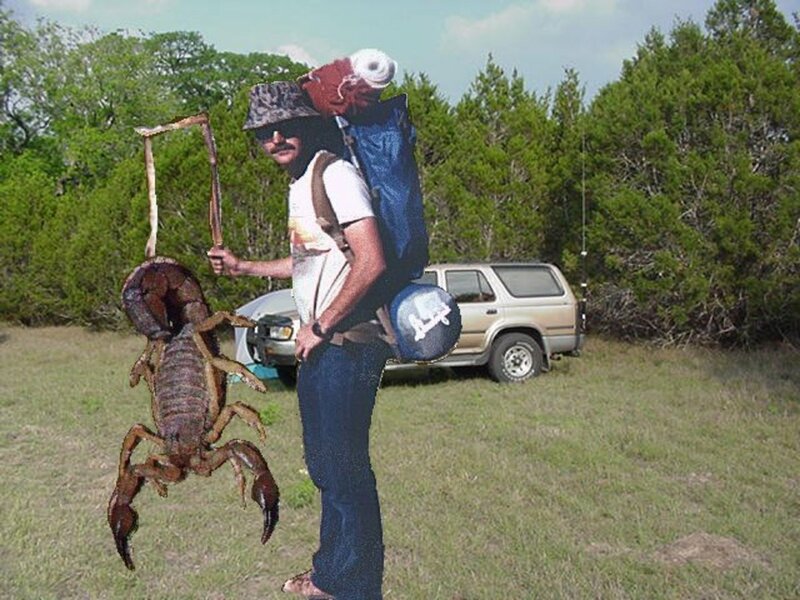 Good information Kathy, I am so afraid of scorpians, I am glad we do not have them in my part of the country. WillStarr is absolutely right if you are allergic you should carry an Epi-Pen and go right to the Emergency room or call 911. I am really scared even just looking at them in the pictures. I am glad they have antidote. Voted up , interesting and useful. 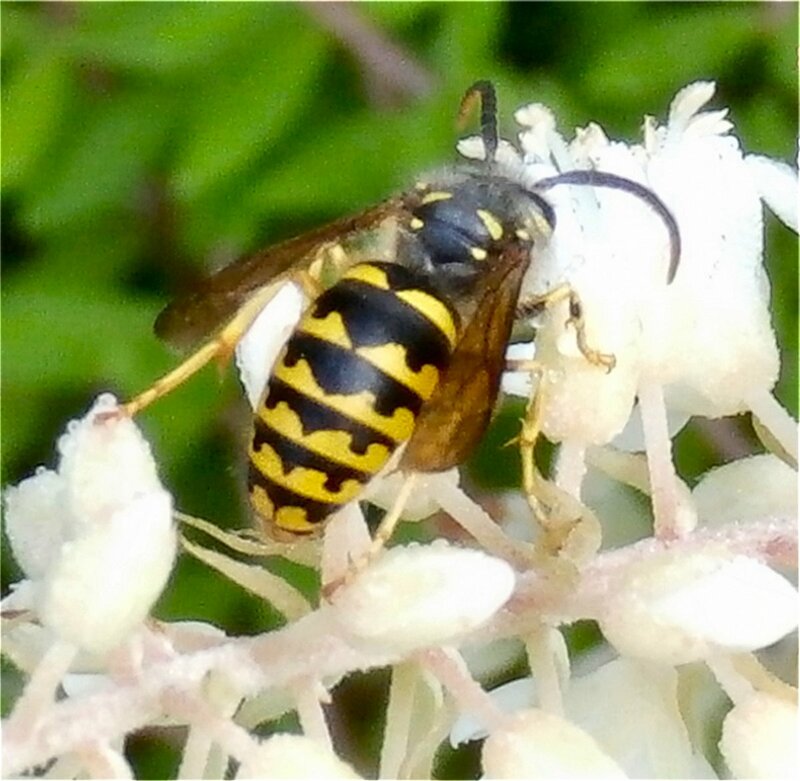 If stung and you have a history of allergic reactions, call 9-11 or get to an ER immediately. Tell admissions that you may be having a reaction, and they will admit you immediately. I had one fire-ant bite and it almost killed me. The doctor told me another 30 minutes without treatment would most likely have been fatal. Don't take chances! Use your ultra violet flashlight in the dark, and scorpions will fluoresce brightly. I use it both inside and outdoors.